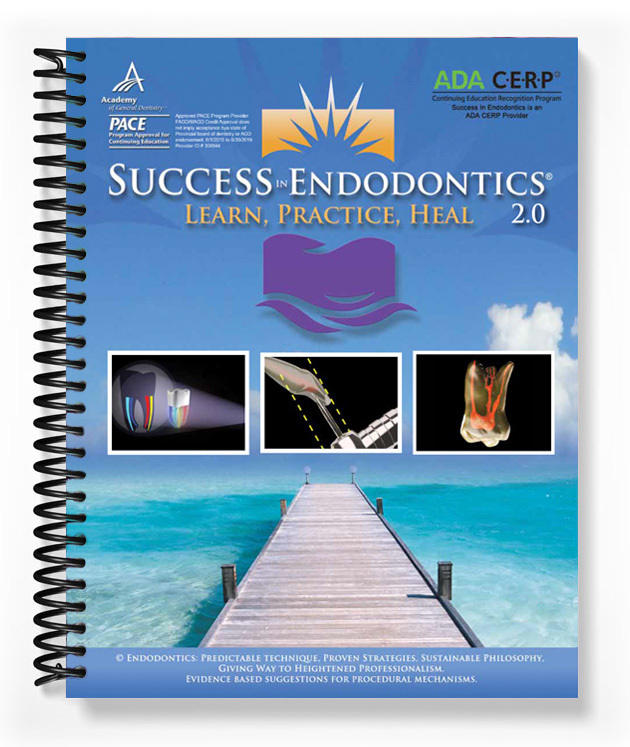 Success in Endodontics 2.0 is an evidence-based manual and series of integrated online instructional videos that shortens the learning curve to do predictable and successful endodontics. This comprehensive, continuing education program was designed for the general dentist who has completed less than 5,000 root canal procedures. This self-instructional program is designated for 16 hours of CE credit by the Academy of General Dentistry-PACE. Drastically Increase Your Revenue by Performing More Endodontic Procedures In Your Office! 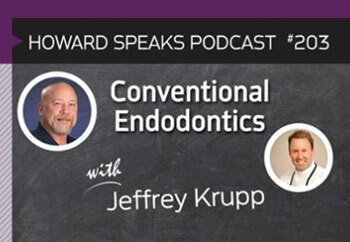 Any dentist who does endodontics, or is thinking of doing endodontics, knows that there are curve balls coming from patients and their teeth such as root morphology, tooth access, restorations, attitudes, infections, and numerous other variables. If one wants to do predictable and successful endodontics, one has to overcome all of these obstacles. Success in Endodontics shortens the learning curve! 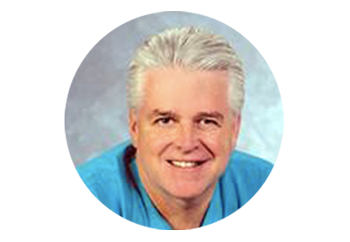 The comprehensive “2.0” Success in Endodontics program was designed for the general dentist or younger endodontist who has completed less than 5,000 root canal procedures. After studying the manual and viewing the companion videos, the participating student/clinician will have a greater understanding of treating conventional endodontic cases. You will have the chance to enjoy and educate yourself on your time! Videos of diagnostic protocols during a clinical evaluation of conservative orthograde endodontic therapy. Importance of fiber optic trans-illumination by means of pictures and videos. Integration of CBCT technology and the valuable insights illuminated by scan slices. 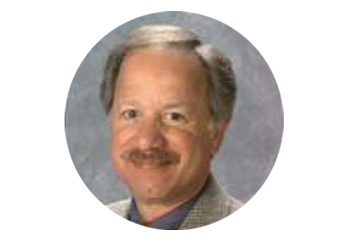 Factors generating a comfortable procedure for the patient, as well as the treating clinician. Wonderful methods for providing profound anesthesia. Rubber dam variations for tooth isolation. Clinical access photos and videos, displaying therapeutic chamber visualization, with enhanced lighting and magnification. Incorporation and discussion of minimally invasive endodontic technique. Various file motion demonstrations for canal identification, canal preparation, and apical blockage. Clinically applicable mid-root to coronal preparation techniques. Biomechanics and canal disinfection strategies for the apical third in light of constantly variant root canal systems. The importance of sequencing lubricants, irrigants, and chelating agents. Obturation animations, utilizing both three-dimensional warm vertical condensation techniques and clinical video of bioceramic materials. Enhanced radiographic interpretation thru SLOB rule animations. Incorporation of operatory mercury hygiene strategies. Vital self-care for the practicing clinician. The program incorporates a written manual over 135 pages, integrated seamlessly with over 40 powerful clinical and animated videos further demonstrating the techniques of the curriculum. Access to a private Facebook study club allows the student to post questions for a continued educational benefit, information and support. GET INSTANT ACCESS TO ONLINE VIDEOS: Chair side demonstrations, microscopic views of clinical techniques, and educational animations. 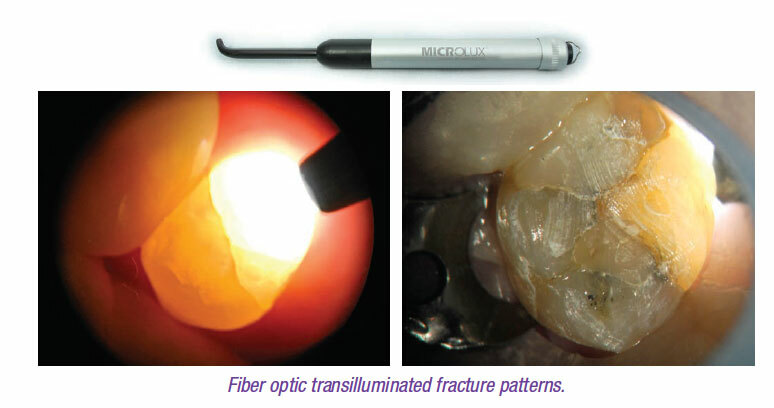 Compelling, powerful microscopic video instruction with narration, as words do not fully translate endodontic educational instruction and information. 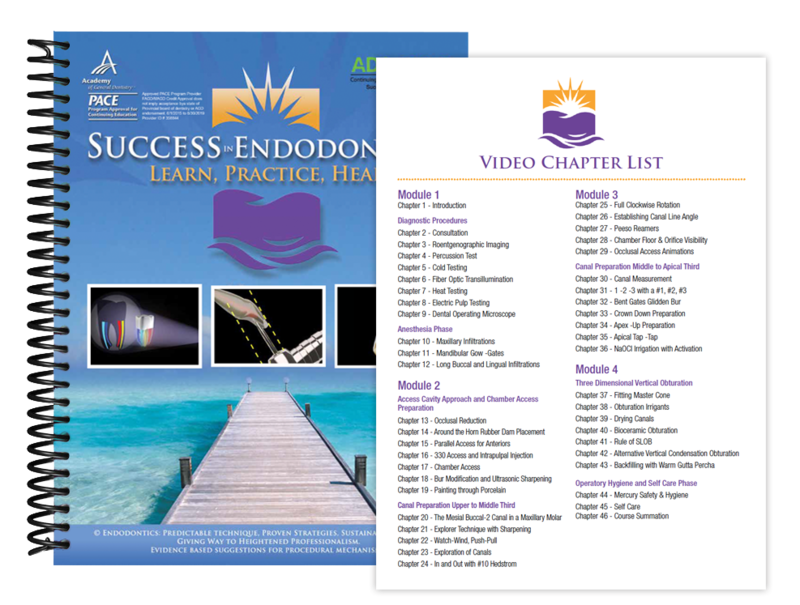 I encourage time spent studying the 46 video chapters, as filmed source material augments the endodontic concepts being described. 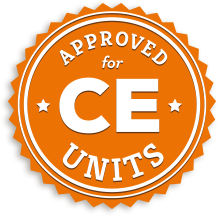 Earn 16 Hours of CE Units at your own pace without the need to absorb additional expense and inconvenience traveling to weekend seminars. 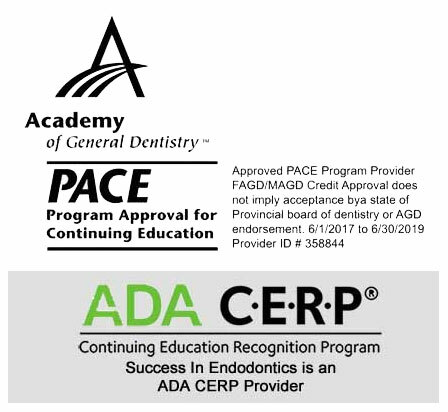 Success in Endodontics is an ADA Continuing Education Recognition Program-CERP. Review course material as often as you wish. Pace your learning at your convenience. 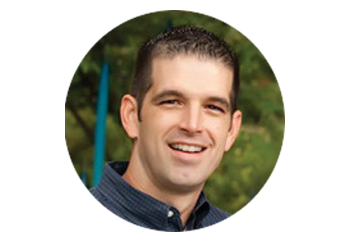 No travel expenses to far more costly weekend seminars. Buy Now to Earn Your 16 CE Units! How long will it take to receive my manual in the mail? Once you have purchased the course, you will receive an email within 24-48 hours which will contain detailed instructions, along with a unique username & password to access the videos online. You will have unlimited access to the videos. How to I receive the CEUs? The course is broken down into 4 modules with a test after each module. Once you have completed all 4 modules, email us your test answers, and assuming you pass we will issue you a certificate by email for 16 CE units. Success in Endodontics is an approved PACE program provider through the Academy of General Dentists and the American Dental Association.